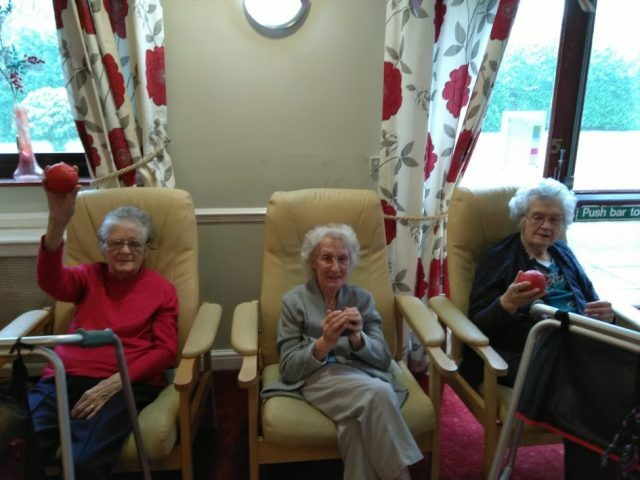 Local Care Home Residents have a blast with Boccia! 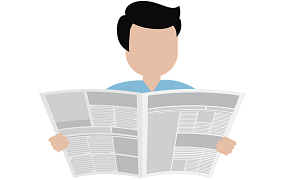 A report by Healthwatch Staffordshire, ‘Living Not Existing’, found that there was a need for meaningful activities in care homes, in particular physical activities. 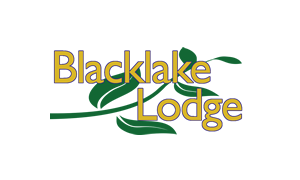 Through Sport Across Staffordshire and Stoke-on-Trent’s ACCESS Grant, Blacklake Lodge Residential Care Home in Meir Heath have been working hard to improve their offer to local residents by taking up Boccia. 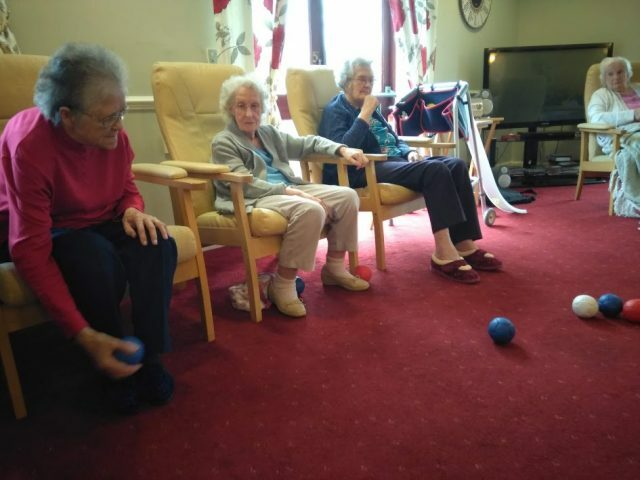 The care home’s activity coordinators have received Boccia delivery training and purchased Boccia equipment, which has enabled them to offer a weekly activity within the home. 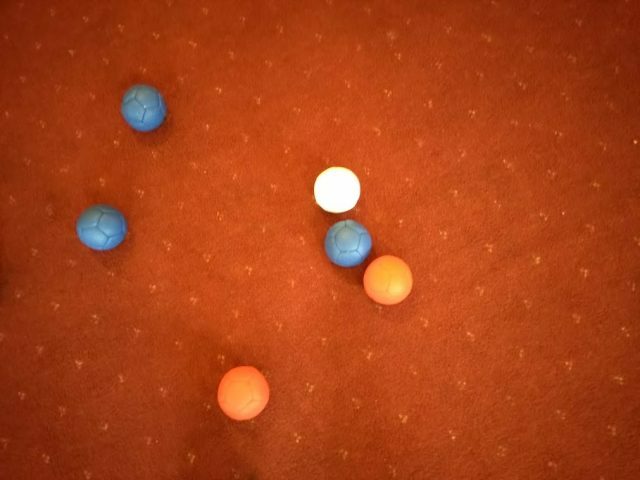 Activity coordinators have been bringing residents together to take part in a game of Boccia, engaging residents from ages 70-100 to take part. Taking part in the activity has empowered all within the home to support each other as teams to engage in friendly competition. This has led to reduced social isolation as well as an increased range of physical mobility and enjoyment. 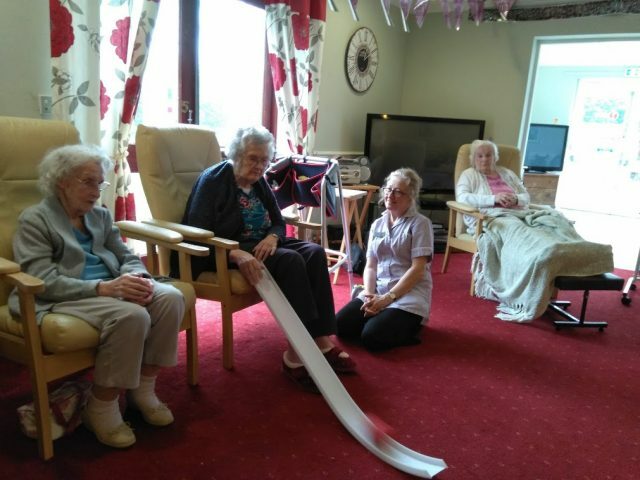 Talking to us about the impact of the sport on their health and wellbeing, residents described the activity as “lovely” and something that they “enjoy”. The activity is ran on a weekly basis and continues to bring all residents together in a fun, inclusive and engaging activity.